Pullman School District will interview 4 candidates for the position of principal at Franklin Elementary School. 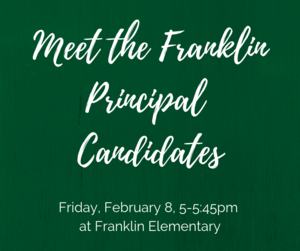 All parents and community members are invited to meet the candidates for the Franklin Elementary Principal position at an open house on Friday, February 8th, from 5-5:45pm at Franklin Elementary School. Candidate names will be released at the open house. 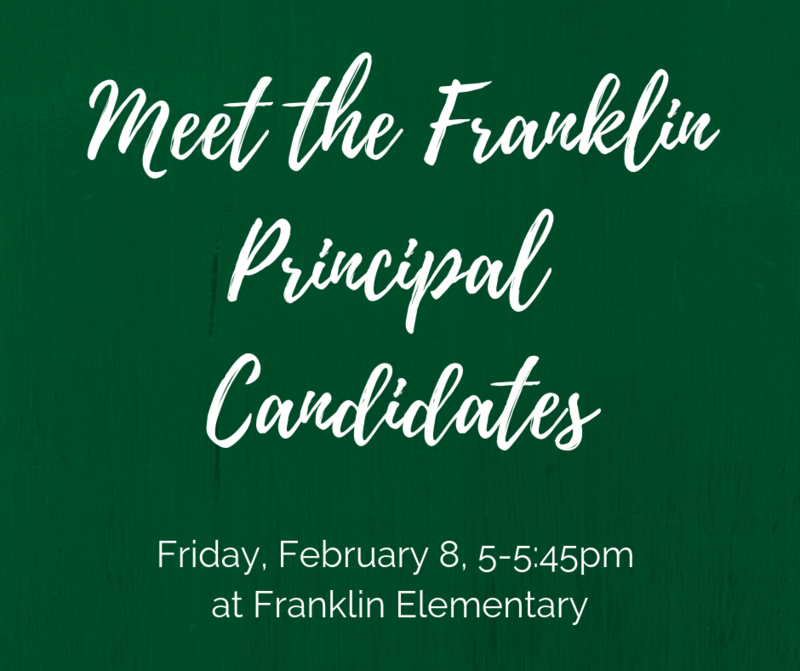 We are pleased with the strong applicant pool and are confident we will find an excellent administrator for Franklin Elementary. Stephanie Bray is currently serving our students and staff at Franklin on an interim basis.